Unable to convince her allies to back her own deal, Theresa May’s turned to Corbyn for help. 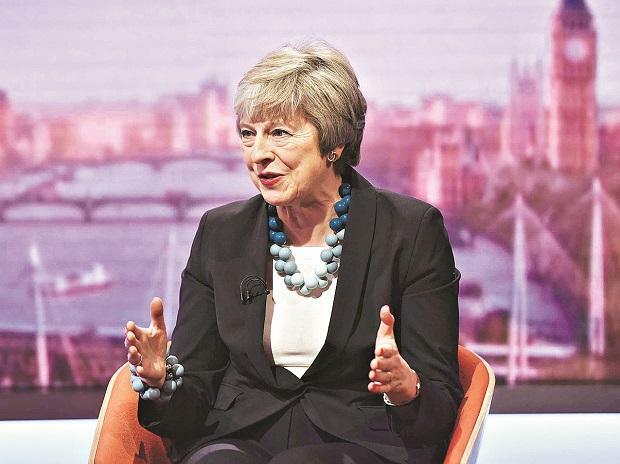 Prime Minister Theresa May has written to European Council President Donald Tusk to request a delay to the UK’s departure from the bloc until June 30. “It is frustrating that we have not yet brought this process to a successful and orderly conclusion,” May wrote. “The UK government remains strongly committed to doing so." With her options dwindling, May is desperately seeking to get an agreement through Parliament that would allow the UK to leave the EU without having to take part in European elections next month. Unable to convince her allies to back her own deal -- Parliament has rejected it on three separate occasions -- she’s turned to Corbyn for help. Tusk was earlier said to favour offering the UK a one-year extension to its EU membership to help the prime minister, but some governments opposed such a long delay, officials said. Tusk, who chairs summits of EU leaders, wants the bloc to give London as long as possible to find a solution to the deadlock caused by members of Parliament failing to back the divorce deal the prime minister struck in November. The year-long extension would include an escape clause to allow the UK to leave the EU early when the deal is approved. The EU’s remaining 27 leaders, who meet May in Brussels for a summit on Wednesday, have to agree on any offer unanimously and it’ll be up to them to forge a common position. France is leading a small group of countries opposing a long extension, but officials said they don’t expect any leader to veto a delay outright. May will write to Tusk requesting a delay on Friday, a UK official said. Without an agreement at the EU summit, the UK would leave the bloc on April 12 if Parliament doesn’t approve the deal before then. If an extension lasts beyond May 22, the UK would be obliged to participate in elections to the European Parliament.